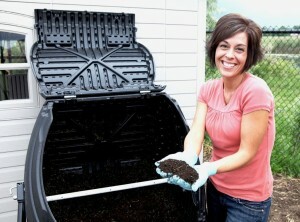 Composting is an excellent way to produce nutrient-rich soil for growing plants. Whether you are an avid gardener or you simply do not like to throw away leftover food products that could more easily be returned to the earth, composting allows for an easy and very natural method to do this. While building and creating a self-containing compost pile is possible, it isn’t always the best environment for the compost, and additionally this only works if you own a home with a ample-sized backyard or garden. When the property is on the smaller side or if you live in an apartment or condo unit, you won’t have your own yard. 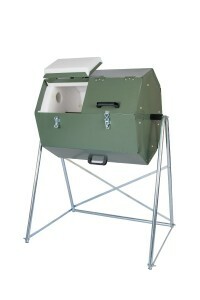 If this is the case, a compost tumbler allows for an exceptional method of producing compost. With so many options out there, it can be confusing to find one that best suit you. Currently, these five stand up as some of the very best and highly rated compost tumblers for sale. 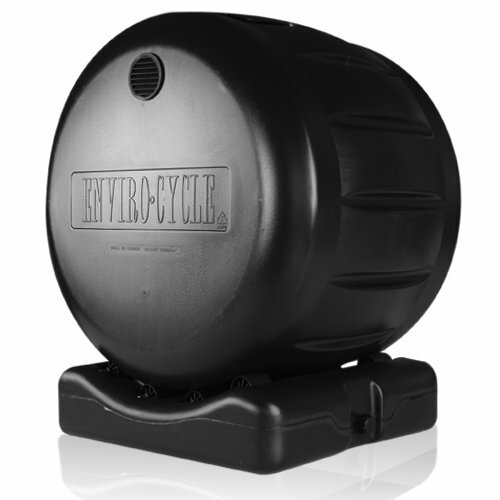 The Lifetime 60058 Compost Tumbler is designed out of high density polyethylene, or HDPE, which is an extremely durable plastic. 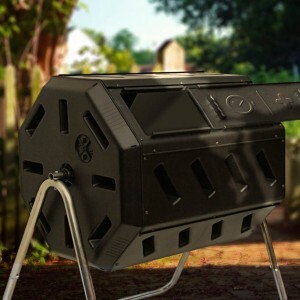 It has a full capacity of 80 gallons, so someone who is looking to compost shouldn’t have any problem running out of room quickly. It is also over 10 cubic feet in size. There is a double walled panel designed to absorb and hold in all of the heat produced by the decomposing material. This composter’s design allows for an internal mixture of oxygen with the compost, which makes it break down easier. Plus, the tumbler is very easy to turn on its axis, as it is designed to always have a balance rotation. With the balanced rotation it turn smoothly and not feel suddenly heavy, then light, then back to heavy, which is the case with other, inferior tumblers. This device is going to make it much easier to compost in any location and ultimately improve the soil they are able to produce. While an outside compost pile is nice, it is not going to fully add oxygen to the entire pile. It will only allow the top layer access to oxygen, which slows down the decomposition of the rest of the organic material. This is exactly why the Forest City Tumbling Composter with Two Chambers is such a handy device to purchase. It has built in adjustable air vents, designed to make compost in two weeks, as almost the entire area of the pile receives a steady flow of oxygen. 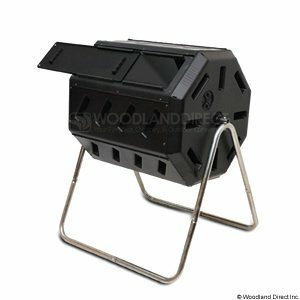 There are also two chambered composters, as sometimes you don’t want to mix material together when performing the action. The entire device is also made out of recycled plastic, so you don’t have to worry about adding to the greenhouse gasses use to produced plastic, as this is made from discarded plastic already. 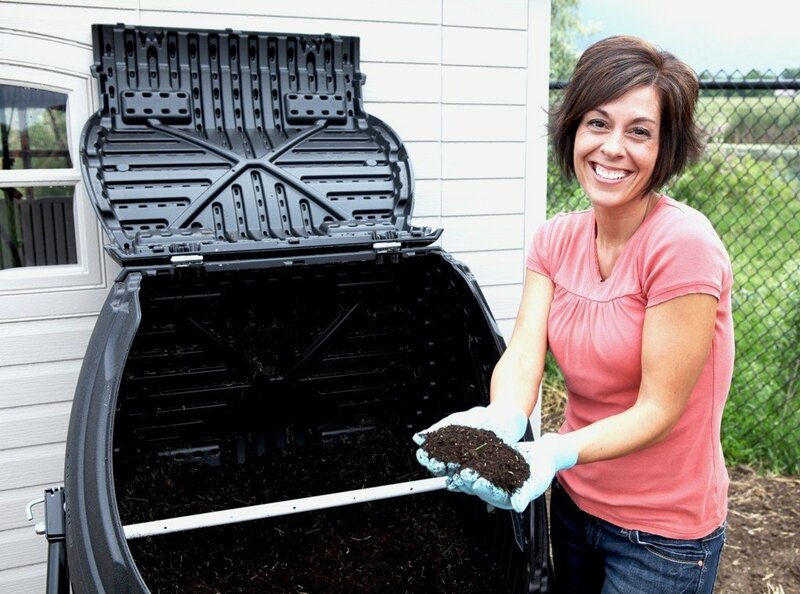 Often times, you want to separate the stages of composting, as you might want to prevent adding fresh compost to an area that is currently in the middle of the decomposition stage. If you were to add material over top, it would slow down the process completely. This is why the Woodland Direct Tumbling Composter is so helpful. There are two chambers available to you, and the slide away door gives you access to the interior, so you can easily inspect the area. It is a rodent proof design with adjustable air vents, so you don’t have to worry about animals entering the container, and the churning designed helps break down organic material faster. 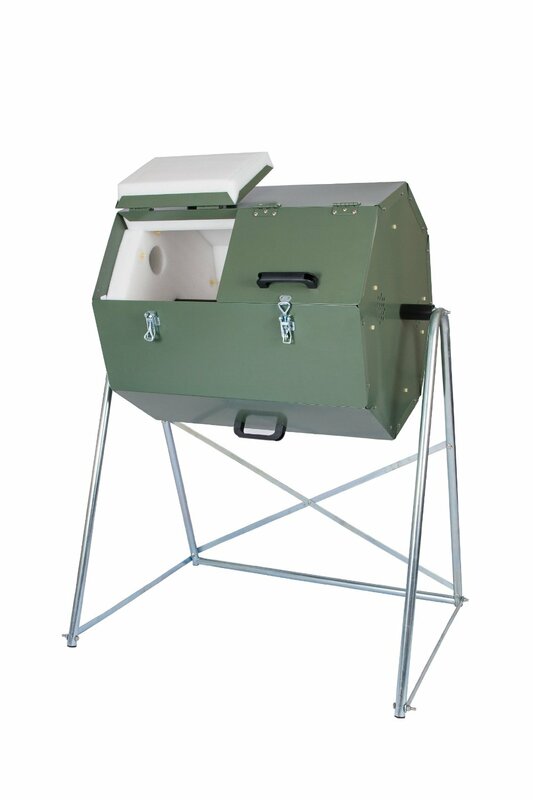 The dual compartments of the Joraform 33 Gallon 125 Compost Tumbler make it easy to avoid adding material to an area of compost that is just starting the decomposition stage. This way, the decomposing material doesn’t suddenly receive a lack of oxygen, which drastically slows down the process. The equipment is also made out of sheet metal, so it is not going to break down as easily as other products, and the 33 gallon drum is large enough to hold the material of a smaller home or apartment, making it perfect to tuck it away in the corner of a patio or a small yard. 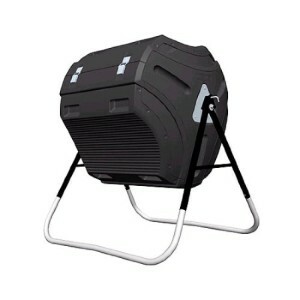 This product is designed on a rotating base, so instead of having to manually twist and turn the composter, which is the case in many designs (and can be rather heavy), you just have to spin it, which is easier if the other designs are simply too heavy for you. It doesn’t just have a base for looks and for ease of use. It collects a ‘tea’ or essentially the liquid runoff of the compost, which is an exceptionally powerful fertilizer and very desirable for a home’s plants and garden. This way, the always has direct access to the material at all times. Designed out of recycled plastic, the construction and design of the equipment does not add to greenhouse gases or other carbon production.